GPD Automotive (Future Auto Northgate) is celebrating 25 years in business in 2019. 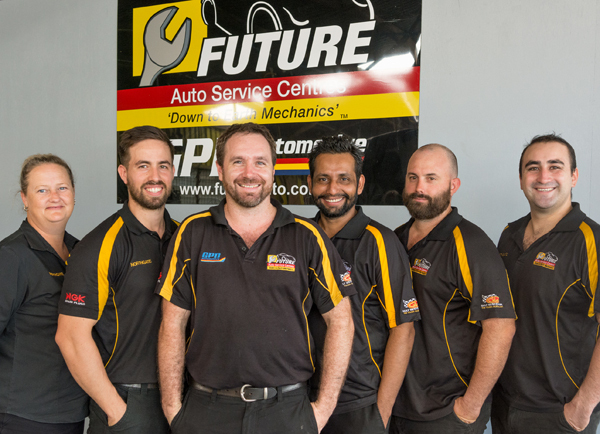 Recently named ‘Workshop of the Year’ again at the Future Auto Service Centres Annual Awards night, Future Auto Northgate has also been recognised many times at the Quest Business Achievers Awards. Originally located in Nundah, the workshop moved to its larger premises at 39 Toombul Rd, Northgate to better accommodate customers, some of whom have been clients for all 25 years of operation. Owner Dudley Leighton credits his experienced team as one of the reasons for their success. “We keep our team of fully qualified technicians up to date with regular training, which allows them to deliver great outcomes for our clients,” says Dudley. Future Auto Northgate offers new car log-book servicing, air-conditioning, a full range of mechanical services for all makes and models (including European and 4WDs), safety certificates and, most recently, automotive electrical services and diesel performance tuning.